Click the button below to add the New Tire Grip Spur Buckshot Wide Mudder P78 33 9.50 10.50 16 Mud Stud to your wish list. Call For Availability 888-513-8473Item Description The Buckshot Wide Mudder Tire is back in stock. 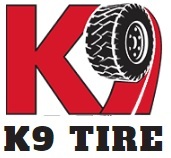 If you are looking for a true mud tire, look no further! These have the deepest tread of any mud tire you can find, 28/32 tread depth. NEW 1st line Buckshot Wide Mudder P78-16 Bias Tire in size P78-16 is about 33x10.50-16 which replaces 7.50x16, 235/85R16 and 255/85R16. The tire is Load Range C (6 Ply Rated) for Light Trucks. 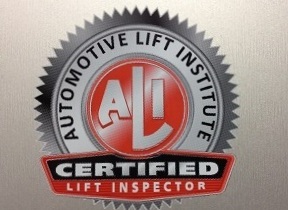 Tire measurements are based on inflated height and width after mounted on a rim. All tire dimensions are approximate. Bias tires will grow after mounting. There is only one size available in 16 inch P78-16 which is 32 inches tall, 9.40 inches wide. This is it we DO NOT have larger sizes. The 16 inch Buckshot tire are NOT studdable, do NOT contains stud holes. The tires do have a DOT code so they are legal to run on the street although these tires were always intended for off road use and never meant to be a touring tire. If you want a tire to cruise up and down the road with that gets good mileage and are quiet, please buy an all season radial. Because of the 30/32 tread depth the tire will not balance perfectly. No warranty for ride, tread wear, or chopping. But if you are looking for the best mudding tire for your money than these are the tires! They are the perfect tire for rock climbing, mud bogging, off road Jeep adventure trails and chore pickups.